Want to kick start your metabolism and cleanse your digestive system while you’re on your weight loss/management journey? 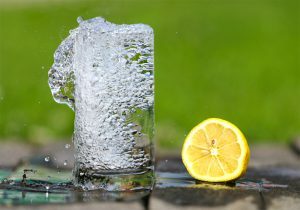 Then what you need to do is, first thing in the morning get yourself to the kitchen, cut a lemon in half and squeeze out its juice and pulp into a glass, fill it up with filtered water and drink the full thing down. This is such a healthy thing to do first thing in the morning. Lemons have many health benefits, including aiding with digestion. Give it a go, make your lemon drink the first thing you drink in the morning and discover the many benefits it has for your health.